On May 1, 2017, Johan Enochsson started his position as new CEO of REHOBOT Hydraulics AB. He succeeds Kjell-Roger Holmström, who has been the company’s CEO since REHOBOT’s acquisition of NIKE Hydraulics, at the end of 2010. 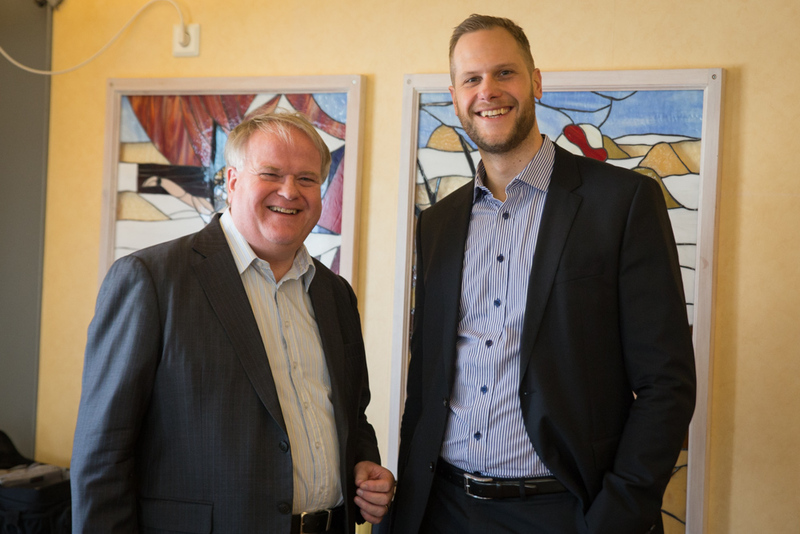 Johan’s role also includes responsibility for the company’s sales organisation, where succeeds Frederik Karlsson. Johan has previously worked as a management consultant and has in this capacity accumulated valuable experience from a number of different business sectors that will be of great benefit to his new role. Johan says: “I am very pleased and excited about the task of taking over as CEO of REHOBOT Hydraulics. It is a well-performing company with an incredible history of self-developed products of the highest quality. For me, the focus will be on expanding the company and continuing to show the world why our products are recognized premium”. Kjell-Roger emphasises: “I believe REHOBOT Hydraulics is on its way into a more expansive and consolidating phase. Johan has been part of the company’s board for a few years and is well suited to lead the company into that phase. I will devote my time to increase the profitability of the sister companies REHOBOT Inc. (USA) and REHOBOT Rotex in Partille, as well as work on new acquisitions and business opportunities for Obadja’s behalf”. Please find Johan’s contact information here.